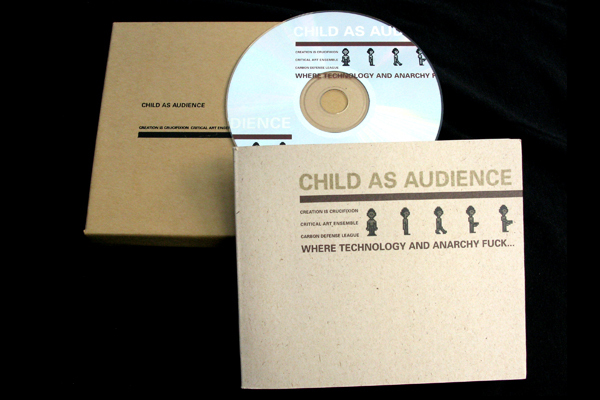 This project consisted of a book, a CD and a pamphlet on the oppression of youth, designed for teenagers, whose aim was to provide the necessary information on how to hack a Nintendo Game Boy. The book documents a project, begun in 1998, by the Carbon Defense League, with the support of Critical Art Ensemble and Institute for Applied Autonomy. The goal is to bring together the efforts of the Carbon Defense League and Creation Is Crucifixion. To digitally infiltrate one of the icons of the consumer age, the Nintendo Gameboy. The teenagers learn how to hack a Gameboy and the first CDL game.